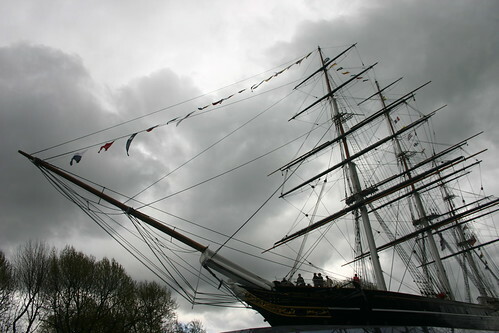 Even in the gloomy April rain the clipper looks fantastic from outside. The impressive prow from below. The whole ship is suspended 3m off the ground in a hermetically sealed dry berth. 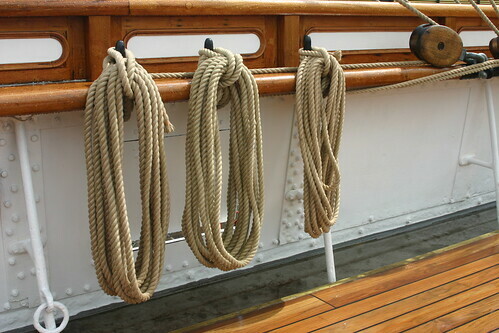 On deck it's all shiny boards and untarnished ropes. Being on deck also lets you get close to the towering masts. 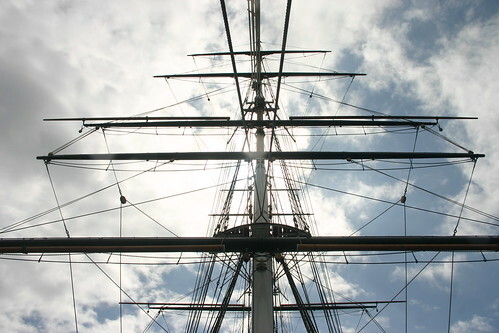 On the tween deck you can try your hand sailing from Australia to London, a trip the Cutty Sark made with cargoes of wool. 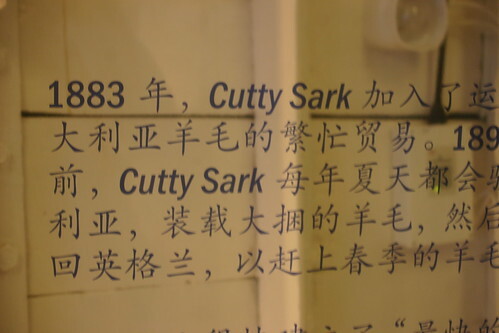 Given the ship's initial mission - to bring tea back from China as fast as it could - it's great to see some Chinese interpretation on board. 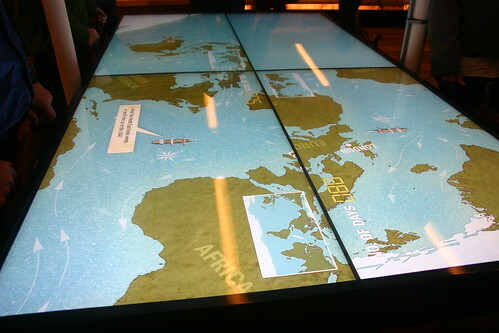 The inside of the hull becomes a screen for projected information in the tea-infused lower hold. 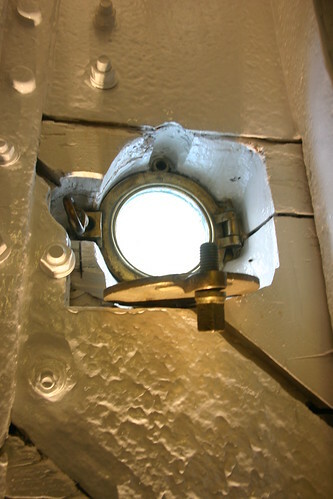 A ship wouldn't be a ship without a porthole. 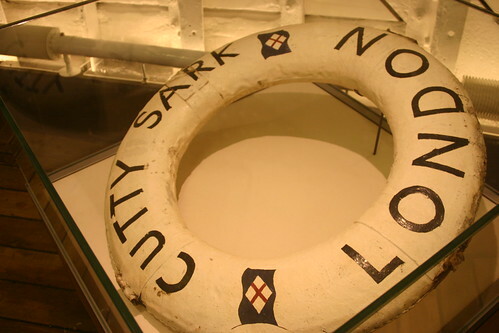 The lifebelt dates from the ship's days as a naval training vessel. The Cutty Sark is a stunning ship in a glorious location. 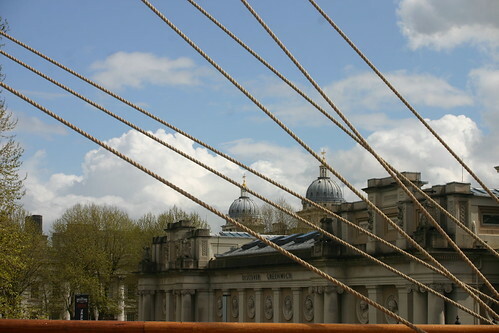 This is Discover Greenwich and the Old Royal Naval College seen from the deck. For a more substantial report on the ship and her history read my post for the HMS Beagle Project blog. 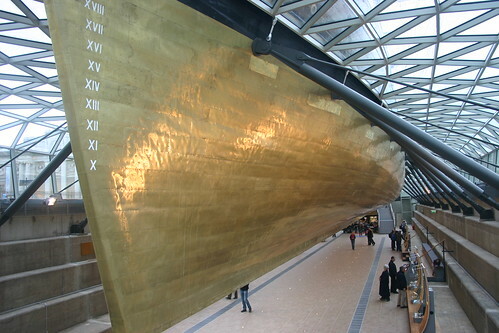 The Cutty Sark is part of Royal Museums Greenwich. 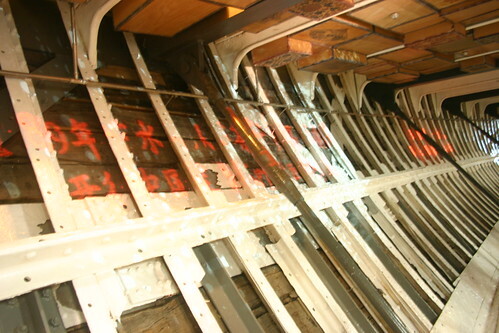 Until November 2012 the ship is open from 09:00 to 17:00 Tuesday to Sunday (last admission 16:30). Booking in advance is recommended, and there are ‘bundle’ offers that let you combine your visit with entrance to the Royal Observatory and/or the National Maritime Museum’s Royal River exhibition.